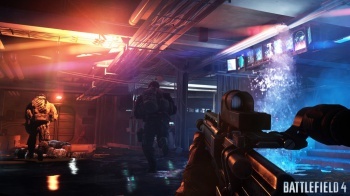 Battlefield 4 will get a title update later this month on "multiple platforms," DICE announces. Over on Battlelog, DICE developer "trydling" has posted an update stating that the studio is finalizing the next patch for Battlefield 4, and is set to hit "multiple platforms" later this month. Unfortunately, that's all we know so far. So, there's a chance this next update could help in the game's stability, tweak some of the weapons in the game or both. Given EA is already facing a lawsuit over the shooter's technical hiccups, let's hope that DICE finally stomps out all of the bugs for every platform BF4 is released on. In other BF4 news, DICE producer Patrick Bach claims that BF4 is one of the best looking next-gen games due to Frostbite 3, and that the engine "truly takes advantage" of next-gen consoles. What fixes are you hoping this patch brings to the table and is BF4 still crashing for you?